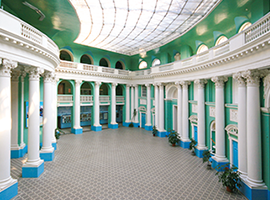 The faculty has been working in the pedagogical faculty of the 2nd Moscow State University since 1921. For the first time the department which trains specialists for stage 1 on education and training of primary school age was opened in the system of education. In 1934 the school department became the pedagogical faculty of MSPI, where the preparation of teachers of elementary school with the higher education began. In 1985 the faculty of elementary school was allocated from the pedagogical faculty. It has three branches: full-time, part-time and distance learning. 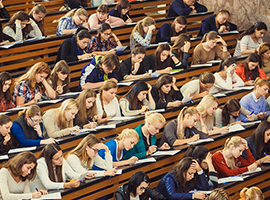 Since 1994 there is the reception of graduates of pedagogical colleges for which the corresponding curriculum with the reduced term of training was developed. The dean of faculty of elementary classes is candidate of physical and mathematical sciences, professor Lydia Pavlovna Kovrigina. Honourable professor of MPSU, doctor of pedagogical sciences A.E.Dmitriev. Among the teachers of the faculty there are famous scientists in the field of pedagogy, psychology and methodology of primary education, and other fields of science, the authors of textbooks and teaching materials for the elementary school, and also for students of Pedagogical Universities — professors: L.P.Kovrigina, S.P.Baranov, L.A.Bezborodov, L.K.Veretennikova; A.S.Dobrotvorsky, E.N.Zemlyansky, L.P.Katlinsky, D.I.Latyshina, A.A.Lokshin, K.V.Makarova, O.V.Sosnovskaya, G.A.Suvorov, T.S.Troitsk, A.L.Chekin. The Faculty has magistracy, post-graduate and doctorate. 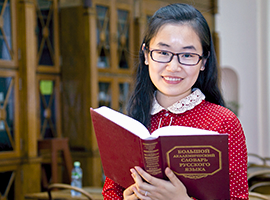 Traditionally, at the elementary school faculty the inter-university student scientific conference «Theory and practice of teaching Russian language in primary school» is held. selection of candidates for admission to graduate MPSU (among students of universities). The problems in literacy education and school preparation for children 5-7 years. Questions of teaching reading and literary education of primary school children in today’s schools. Language education of younger school students. Speech development at lessons of the native language at elementary school. Problems of training of spelling of pupils of elementary school. Questions of history of Russian language at the lessons at elementary school. At the meetings of educational-methodical commission on pedagogy and methodology of primary education in 2010/2011 academic year, there discussed the questions of the introduction of the Federal State standard primary education and implementation of GEF VPO in «Teacher Education» (profile «Primary education) the formations of professional competences of students of faculty of elementary school, problems of an associativity of level of the higher and secondary professional education, questions of combination of profiles of preparation of bachelors in the Pedagogical education direction:» Primary education and the Foreign language (English). «Primary education and Informatics», using the information and communication technologies in the process of preparation of the primary school teacher, a question of development of modules for choice of the student: «Preschool education», «Actual problems of teaching of subjects at elementary school», «Spiritual and moral education and development of younger school students by means of subjects», «Organizational and creative work with children of younger school age in system of additional education» (Primary education profile); «Computer technologies and telecommunications», «The contents, structure and conditions of efficiency of application of IKT» elective part of a professional cycle of disciplines of the curriculum of preparation of bachelors in the Pedagogical education direction (a profile «Primary education and Informatics»);» «Historical aspects of English», «sociocultural aspects of English», «modern technologies of education foreign», «modern English as system» (profile «Primary education and Foreign language (English)». Scientific School «systemogenesis activities and abilities of people» (headed by Academician of RUSSIAN ACADEMY OF EDUCATION , Professor V.D. Shadrikov). Scientific School «Preparation of the creative primary school teacher» (the head is the Honourable professor of MPSU Dmitriev A. E.).